Lara Hudson came to animal shelter work by an unusual route – quite literally. After college she wanted to travel and see the world, so she took a job as a flight attendant. She was in the Middle East shortly after the 9/11 attacks, and she began volunteering for the Humane Center for Animal Welfare (HCAW) in Amman, Jordan. There were 14 nomadic villages in the desert around Amman, and at HCAW, instead of finding cats and dogs left on their doorstep during the night they would find donkeys and other agricultural animals tied to the porch. These were animals that no longer had any economic use to their owners, often due to neglected broken legs that had healed unevenly, and the only thing HCAW could do for them was to provide a painless death. The villagers were living in conditions that made their existence seem almost as though they were on a different planet from the developed world. And as hard as life was for the villagers, the lives of their animals were even harder. Lara describes the suffering of the animals as “profound.” It was this experience that made her decide that she wanted her career to be improving the lives of animals. When Lara returned to the United States she settled in her home town of Middleburg, Florida, near Jacksonville, and began working with the Safe Animal Shelter (SAS). SAS was a private, limited admission No Kill organization. Lara started out as a volunteer and then joined the staff, working her way up from kennel tech to vet tech to assistant manager to director. She worked at SAS from 2005 to 2011. The last year she was at SAS she purchased a truck to allow her to transport animals from the county shelter to the SAS facility. She made regular trips to the county shelter and had to select animals to save from the ones they were going to kill. It was devastating to look at the ones she could not take, and she thought about them all the way home. It was this experience that made her decide that if she was going to help animals in a more meaningful way she would have to work in an open-admission shelter. When a director’s position became available at the open-admission county shelter in Hattiesburg, Mississippi, she applied for and won the job. The shelter, called Southern Pines, took in some 5,000 animals per year. Lara ran Southern Pines for two years, and during that time she and her team worked to bring up the number of animals that left alive. Lara was not focused on statistics at that time but she believes the shelter was killing about 2/3 of its animals when she started. When she left the save rate was in the range of 80% to 90%. Lara and her team did not follow any particular program to achieve those gains – instead, they brainstormed together to solve the problems that were in front of them in the county. Their success was so great that Lara decided she wanted to travel around the country, working at failing shelters for a couple of years and turning them around, then moving on. It was at that time, early in 2013, that Lara saw a mysterious ad on a website listing shelter jobs. The ad said that a large open-admission shelter in the southeast needed good leadership after years of unsuccessful leadership. The job sounded like just the thing for Lara, and she applied. It turned out that the ad had been posted by Rebecca Guinn of LifeLine Animal Project in Atlanta, which had just won the contracts to operate the two county shelters that serve the city of Atlanta. Rebecca’s mission was to make the city No Kill, and she was on a very tight deadline to get two large management teams up and running by the rapidly approaching takeover dates. 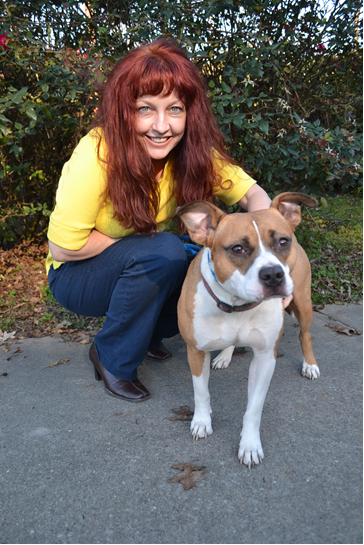 Rebecca hired Lara to run the Fulton County shelter. Most of the urban population in the city of Atlanta lives in Fulton County. The shelter was built in 1978. It has some advantages, such as natural light, but it is very small and cramped for the staff and for the number of animals taken in, which at the time Lara started was about 10,000 per year. The contract included animal control as well as operation of the shelter. It is in a high-crime part of town, with a railroad track behind it and the county jail across the street. The live release rate in 2013 when Lara started was only about 35%. Lara’s first thought was to stop the bleeding by making changes that they could implement quickly for maximum impact. The first thing she did was to start reaching out to rescues. There is no large organization in Atlanta that pulls lots of at-risk animals from the shelter, as Austin has with Austin Pets Alive!, Jacksonville has with the Jacksonville Humane Society, and Richmond has with the Richmond SPCA. There is the Atlanta Humane Society, but it does not take significant numbers of animals from the county shelters and does not take the behavior and medical cases that need the most help. So Lara hired two full-time rescue coordinators to make sure that any rescue that did want to pull from the shelter had all the information they needed and would receive complete cooperation. To minimize length of stay Lara adopted a first-come, first-served policy for strays. A person who wants to adopt an animal on stray hold, or a rescue that wants to pull a particular animal, can tag the animal as soon as it comes in the door. If the animal is not reclaimed by the owner it goes to that adopter or rescue as soon as the stray hold expires. Individuals who go through the adoption process for an animal on stray hold are advised that an owner might show up, and if so their money will be refunded, but this policy prevents the problem of highly desirable animals having many people signed up to adopt them and then being disappointed if they are not the one chosen. It also gives rescues the same chance to get an animal as anyone else, which makes the rescues more willing to work with the shelter. In addition to making the shelter as user-friendly for rescues as possible, Lara quickly instituted changes to make the shelter as inviting as possible for adopters. A large “STOP” sign that was in the lobby got pitched out. The tiny, thick plastic grill that separated visitors from the front desk was taken out, and a big, open window installed. Lara’s idea of customer service is to establish a relationship of trust with each person who walks in the door. She wants them to feel that if they adopt an animal, they can always turn to shelter staff for help and they will not be judged or criticized. The staff member who greets a visitor gives his or her full attention to the visitor, and does not make the visitor wait while answering the phone or doing other tasks. Another policy change that Lara made was to stop having Animal Control pick up healthy outdoor cats. 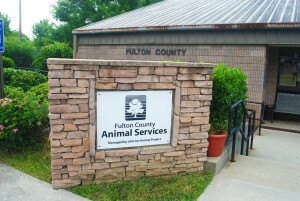 Soon after taking over at the Fulton County shelter she examined the applicable laws and ordinances and found that there was no requirement for the county to impound free-roaming cats. Nor was there any requirement to impound wild animals like raccoons, possums, and foxes as the previous shelter operator had been doing. In fact, when she consulted with the authorities she found that the previous operator had been violating the law by impounding wild animals since the shelter was not licensed to do so. When people call the shelter asking to have cats picked up, the dispatcher tells them that the shelter will be happy to take in healthy cats over the counter. Animal Control will pick up sick or injured cats. Healthy cats who were found outdoors, with no known owner, are sterilized, vaccinated, and ear-tipped at no cost and then returned to their location (a three-day hold period applies to non-feral strays). The dispatcher explains to callers that if outdoor cats are taken to the shelter and killed, more cats are likely to show up and take their place. Most people are interested in the new way of handling cats and accepting of it. If a caller says that they just want the cats gone, however, LifeLine can send someone out to assess the situation and speak with the person in more detail to come up with a solution. The shelter euthanizes cats only for medical reasons. Both of the LifeLine county shelters – Fulton and DeKalb – are running at about an 85% live release rate right now. Lara told me that the biggest remaining problem area they have in saving the last 5% of savable animals is dogs with behavior problems. The Fulton County shelter is so small that dogs have to be housed with more than one to a run. This puts extra stress on the dogs. A dog that has been traumatized in some way might be fine if it went into a facility where it could have a quiet space of its own to decompress, but it might show fear or aggression under the circumstances of the Fulton County shelter. The shelter has a full-time foster coordinator and about 150 to 200 active foster caregivers, but that is not enough for all the dogs who need help. Shelter staff networks for these dogs as hard as they can with rescues, but these are the dogs who are killed if no rescue can be found. Now that Lara has her team in place and has raised the live release rate from 35% to 85%, she is turning her attention to this last group of animals. It won’t be easy, because the county does not provide resources to cover costs for these dogs. That means LifeLine will have to fundraise for the expensive process of getting these dogs the training they need and the quiet housing they will require while they are being rehabilitated. Lara will have been at the Fulton County shelter three years by next spring, and she has given up her idea of moving every two years to take over a failing shelter and turn it around. The challenges in Atlanta are so large, and the importance of No Kill in the city is so great, that she wants to stay there to continue the work. The work of the LifeLine team in getting Atlanta to the edge of No Kill in spite of very tough circumstances, with relatively little outside help, and in less than three years, has been one of the most inspiring stories I’ve seen in No Kill. I hope LifeLine is able to get the support it needs going forward, because Atlanta will certainly be one of the crown jewels of No Kill. Savannah, Ga is so uninformed. To be a popular destination, with so many wonderful qualities, the plight of the community cats is dismal at best. There are no low-cost spay-neuter clinics. The rescues that are up and running are manned by volunteers, with little to no available resources. Personally, my friend and I travel the 3 hour round trip twice a 2-3 times a month, paying out of pocket, to TNR the homeless cats we see daily just on our commute to work. I mention this not to boast, but to express the seriousness and sadness of the situation. The thought of how many are not sterilized is frightening as well as discouraging. We need help. Our city/county needs educating and our animals need help from the senseless killings. If you can advise, guide, or assist in any way please consider adding Savannah to a NEED list. A shout out goes to Life Line & Lara. Thank you. This is great. 35-85% is amazing. Lara sounds amazing. I am always impressed with those who give so much of themselves to make the world a better place for animals. It’s nice to be proud of Fulton County my home. THANK YOU all and keep up the good work! Would love to thank each and every person who loved and care for Loona. You all have put a smile back on my husband and I. she is such a loving one. And is doing good in her new home in Tennessee. She is loving every minute. She has not been here 24 hours yet. 3-23-2016. And has 4 toys and 2 beds already. Getting ready to call the vet. To get her, her first app. and to go out and buy her another bed and of course more toys. HUGS TO YOU ALL!